Minutes of the Adani Group’s environmental public hearing (EPH) for its proposed ship recycling facility, held on July 30, 2013, at Tunda village near the Mundra West Port in Kutch district, suggest that a large number of participants as well as those who gave their representation in writing expressed their concern over the project on environmental and livelihood grounds. Many said the project should be cancelled, while others insisted that a new public hearing should be organized on the basis of a more transparent Environmental Impact Assessment report. There were, of course, supporters to the project, but several of them expressed a simultaneous concern over employment opportunities, especially for the fisherfolk living in the vicinity, and environment. Valjibhai Taparia, sarpanch, Zarpara: What will be the impact on the marine environment due to the proposed project and what mitigation measures will be taken? A: Instead of the beaching method, ships will be brought to land by using the air bag method, so that sea water will not remain in contact. Therefore, marine environment will not have any impact. Karsan Pujabhai Tharu, village Navinal: You said in your presentation that within five km radius there is no habitation, but there are fishing harbours at Tragadi and Kutadi where fishermen do fishing and reside for eight months in a year. A: As per record, there is no village or government school in the five km radius from the project site. Gajendrasinh Jadeja, sarpanch, village Navinal: In the radius of five km, fishermen do fish for eight months, reside there and return during monsoon. There is a school running under government scheme. This information is not reflected in the EIA report, and it should be corrected. Will there not be any impact on people? There is no village, but there are people who reside in the area. Please clarify whether habitation is there or not. Education is also provided through a teacher in that habitation area. A: As per government records, there is no village or government school in the five km radius from the project site. No fisherman has any permanent residence over there. Moreover, if there is anything to be added in the draft EIA, it can be added after public hearing. Pravinsinh Chauhan, village Siracha: In spite of fact that there is government school and people residing for eight months, if you do not believe that there is habitation, then what is habitation area? Do you think that cattle are living there instead of people? If you believe that, then there will be impact on them, hence the EIA report is false. A: There is no school and village as per government record. But we consider that what you are speaking is true. The EIA report can be updated after public hearing. Jayveersinh Jadeja, village Samaghogha: I have proof that the proposed project area falls within the approved SEZ area. Please tell us whether the project belongs to the SEZ or not. Is this area approved under the Waterfront Development Plan? Please show us the record when and how the area was approved, where ship recycling is proposed. The land is already reclaimed through dredging, which is not shown in the EIA report. I have one CD, and permission should be given to show it. No satisfactory answers have been given, and therefore the public hearing should be cancelled. A: This project has no connection with SEZ. The Adani Port & SEZ is the name of a company which is operates at different places. It operates in Dahej also. The area proposed for this project has been approved as per the environmental permission granted by Central government in January 2009 under the Waterfront Development Plan. As per this approval, the land is being reclaimed through dredging. Your representation is partially true. Naranbhai Gadhavi, village Zarpara: The public hearing of ship breaking project is an act of misguiding. Many mangroves have been destroyed. Thousands of acres of land have been reclaimed, for which photographs and CD should be allowed to be shown. Why time is being wasted as the project got coastal regulatory zone (CRZ) clearance in 2008-09? If this project has got CRZ clearance under the Waterfront Development Plan, then why public hearing is being called? How much area is there under the Waterfront Development Plan? How much area is for port? How much area is for the Mundra Port and SEZ? When land has already been reclaimed then, why permission is being taken now? As per the satellite image of 2001, there were mangroves, sand dunes, grass and a forest of babul trees, which are not seen at present and have been demolished. Why are you taking permission after demolishing them? Work has already been commenced for the recycling project even before seeking permission. I have got information from the Gujarat Maritime Board under right to information (RTI) for the same. The permission has been granted for the West Port and not for the recycling project, yet the project has been started. Will this project be carried out on the West Port or a on a separate land? Please bring clarity about the SEZ area and the Waterfront Development area. Where is the green belt area located, as shown in the EIA report? As per my telephonic talk with talati in the panchayat of Zarpara and Navinal, even the copy of the EIA report was not received. The EIA report is not circulated in every village panchayat or taluka panchayat. Please provide proof. Why the West Port is being discussed when the public hearing is not for the West Port? A: Reclamation is going on as per the permission for setting up ports, ship yards, the West Port etc. under the Waterfront Development Plan. There is no permission for ship recycling as on date but we are in the process of getting the permission. This public hearing is for environmental permission for the proposed ship recycling project, which has not started yet. Your statements are false, and we do not agree with the same. We reclaimed land as per the permission of 2009. The work which is going on is as per the approved map. In our EIA report, it is clearly mentioned that the land is being reclaimed in one part of the West Port. Permission for 920 hectares has been given. Copies of executive summary of the proposed project have been submitted to respective village panchayats and the proof of submission was acknowledged. The draft EIA report has also been published on the website of the Gujarat Pollution Control Board. Jayveersinh Jadeja, village Samaghogha: Will this project be carried out in the West Port or in some other area? The company accepts that the project will be carried out in the West Port, and therefore public hearing should be cancelled. A: Yes, in West Port. Gajendrasinh Jadeja, sarpanch village Navinal: Nearly 1500 people will get employment at the cost of 10,000-15,000 farmers and fishermen, who will be affected. A: There will be no impact on farmers. Kirtibhai Rajgor, ex-sarpanch, village Tunda: How villagers would be benefited due to the proposed project? What will be the impact on the sea water and the surrounding areas due to the gas used for cutting ships in the project? A: Around 1,500 experienced, non-experienced and office staff will get employment opportunity in this project. Direct and indirect other employment opportunity will be generated. Around 60 tonnes of LPG will be used for cutting in this project, whose effect will not be felt beyond one km area. Girishbhai Chheda, village Kandagara: What has been thought for the unemployed illiterate people of the nearest area who do not have livelihood? A: People of the affected villages will be given priority in employment opportunity. Moreover, village people will be given appropriate training and given employment opportunities. Aasariya Lakha Gelva, village Zarpara: The land permitted for this project has been created by cutting and burying mangroves, so no permission should be given. A: It is not related to this project. There are no mangroves at the proposed project site. We do not destroy mangroves. Naranbhai Gadhavi, village Zarpara: As per the EIA report, there is no reserved forest whereas this area was declared as reserved forest on October 9, 1969. The area is sensitive, as per the report of environmentalist Sunita Narain (2013). A: In the EIA report, it is not mentioned that there is no reserved forest in this area. The marine sanctuary and the biosphere reserve are not there, as the marine sanctuary is 28 km away from the project area. It is only mentioned that the project area is not eco-sensitive. Eco-sensitive zone means sanctuary, marine sanctuary, national park, biosphere reserve etc., as decided by law. Devalben Gadhavi, village Shekhadia: How many affected fishermen will get employment opportunity in this project? As this project is connected with ships, fishermen should be benefitted. A: Efforts will be taken to give maximum employment opportunity to fishermen. Ashabhai Rama Rabari, ex-vice sarpanch, village Tunda: What kind of work will be given in this project? Affected people of the surrounding areas should also be benefitted. A: Occupations like transport business, furniture shop, small ship equipment, trading industry as well as other business opportunities, etc. will be generated. Local people will be given priority as per eligibility and experience. Training will also be provided. Indreman Sidhik Kumbhar, ex-sarpanch, village Tunda: We have no objection to this project, but it is requested that environment should be preserved. Fishermen should be given employment opportunity and health of public and cleanliness should also be given priority. A: Environmental rules will be strictly followed in this project and local people will be given preference in the jobs as per their experience and eligibility. Jayveersinh Jadeja, village Samaghogha: What is the wind direction shown in EIA report? In EIA report wind direction is shown towards north. There cannot be wind towards the sea but wind is blown from the sea. From where is the sample for environmental studies taken? 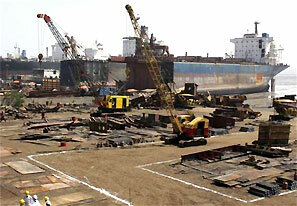 In the cutting and welding process of ship breaking, the emerging sparks will burn tarpaulin. Which kind of tarpaulin will be used? A: The direction of wind changes as per various seasons. Wind also keeps changing on daily basis. In EIA report, wind direction is shown as south and south-west. During the study period, average wind direction is normally considered. This has been mentioned in the EIA report. Best quality tarpaulin will be used. The small sparks emerging during cutting are tiniest and will not cause any harm. Gajendrasinh Jadeja, sarpanch, village Navinal: Bharadi Mata Hill is located within five km radius and it is a reserved forest. Some of the herbs found in this forest are not available anywhere in the world. In addition to this, there are deer and other forest animals which will be impacted due to noise. Information in the report and answers given differ. A: Bharadi Mata Hill is a reserved forest which is located three km away from the project site, but it is not an eco-sensitive area. The impact of noise due to project activity will not be felt beyond 700-800 metres from the project area. Therefore, Bharadi Mata Hill will not be impacted. Lakhu Laxman Rabari, village Tunda-Vandh: How will LPG be brought for this project? Who will sell the generated scrap? The company itself or others? A: LPG will be brought in cylinders. The company will not sell scrap itself. The contract will be given to others. If local people desire it, they will be given priority. Jayveersinh Jadeja, village Samaghogha: Does the area fall within CRZ? Please define CRZ. The EIA report does not mention about it. A: Yes. It is within CRZ area. Hari Karsan Gadhavi, village Zarpara: As there are no fishermen at Alang, the same will happen over here due to this project. A: There was no fishing business in Alang even before starting of ship recycling. Naranbhai Gadhavi, village Zarpara: Sachana ship-breaking yard (Jamnagar) was closed on November 22, 2011 because ship breaking was carried out on forest land and activities of ship breaking is dangerous. A: The situation at Sachana was different. Sachana ship-breaking area was nearer to the Marine National Park, but here similar situation is not there. In this project ships will be brought over to the land for cutting. Dhanraj Jakhu Gadhavi, village Zarpara: Due to particulates from the power plant, animals/ humans are impacted over the last five years and that has caused diseases like cancer. Due to particles there is 70-80 per cent damage to the date crops. Shri Devraj Raviya, village Zarpara: There is significant increase in the production of dry dates in 2012 as compared to 2007 in village Zarpara. There is no impact observed on crops due to particulates and pollution. Jorubha Chauhan, sarpanch, village Siracha: How far are the villages of Navinal, Siracha and Tunda from the project site? Which is the nearest village? We have no objection if villages are getting developed and generate employment. A: From the project site, Navinal is nine km, Tunda is seven km and Siracha is nine km. The nearest village from this project is Tunda. Our efforts will be to create employment opportunities to village people. We are thankful to you for welcoming the project. Prakashbhai, village Tunda: How much area will be in greenbelt in this project? What kind of work will be given to people? To fight against unemployment, locals should be given priority. We welcome this project. We request that environment should be protected. A: Greenbelt will be developed on an area of 16,000 sq meres in the project. Work opportunities like labour work, contracts, selling of material, transport etc. will be generated where local people will be given preference. We will take all required measures to protect the environment. Iqbal Vagher, village Navinal: If fishermen get employment, we have no objection for this project. A: Fishermen will be given priority. Harisinh Jadeja: What precautions will be taken to avoid lung diseases, cancer and asthma which may result due to impact of oil and chemicals in the ship-breaking yard? A: Oil will be emptied from tanks within the ships and will be sent for recycling purpose. All adequate safety precautions will be taken in this process and there are no possibilities of any impact due to this activity. 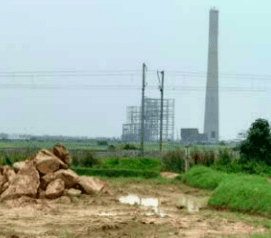 Jayveersinh Jadeja, village Samaghogha: How many people are working in APSEZ? How many of them are locals? Provide information on how much profit will be generated in one year. A: There are total 4,169 people working out of which 982 are local people of Kutch. Question with respect to profit is not related to environment. Gulabsinh Jadeja, village Kandagara: Villagers of the surrounding area, other than the affected villages, should also be given employment opportunities. A: Employment opportunities will be given to all local people. Parakramsinh Jadeja, village Tunda: In the last seven years, due to noise pollution, 75 per cent of birds have decreased and some species have become extinct, whose responsibility is this? This type of information is not covered in the EIA report. A: This project will have no impact of noise, and the probable impacts are demonstrated in the report. It will not be felt beyond one km. The EIA study has found no endangered species. Ratanbhai Sumar, village Zarpara: Land prices of village Zarpara have increased significantly after the presence of the Adani company. And also due to construction of ponds in the village, there is improvement in land quality due to reduction in salinity in groundwater. Groundwater levels have increased. There is increase in production of dry date crops. People working in Adani port or SEZ have become very happy. Jayveersinh Jadeja, village Samaghogha: Impact of chemical and noise will disturb animals and birds. This has not been mentioned in the Gujarati executive summary of the EIA. How much decibel noise will be produced from the activity of this project? What could be its effect on workers? Does noise increase due to wind or does it decreases due to wind? Will the greenbelt prevent noise? How workers will be protected from noise up to 90 decibels? We request that the greenbelt should be developed in such a way that impact should not be felt outside the project area. How much land should be allocated for the greenbelt as per rules? The EIA report is incorrect, public hearing should be cancelled and new EIA report should be prepared. There are many villages within five km radius from the project site which have not been shown by the company. As per the Google map, Tunda, Navinal, Siracha, Kandagara, Vandh, Tragadi and Nana Baria villages are within 5 km. Which chemical may come out of furnace oil of ships? What would be its impact? Where will water generated in recycling go? The EIA report does not contain information regarding the recycling of oil. How many types of asbestos will be there? Ships coming for recycling purpose would not be manufactured in 2009 but probably they are likely to be 20 years old. No information related to asbestos handling is covered in the EIA report. Due to ship breaking, not just one type of chemical will be generated. Many other types of chemicals too will be generated. How asbestos and chemicals will be used? A: Detailed information is already given in the draft EIA report and the executive summary contains relevant information in brief. There will be no recycling of chemicals on the site. The highest noise pollution will be of 90 decibels for few seconds. The effect of noise produced during activity of this project will be reduced due to the Green Belt developed and it will not be felt beyond 700 to 800 metres from the project site. All necessary precautionary measures will be taken to mitigate the impact of noise. The Green Belt will be helpful in reducing the impact. To reduce the effect of noise on the workers working at the site, they will be employed in shift rotation schedule. The workers will be given safety equipment and ear plugs. Ninety decibels of noise will remain for a few seconds only. The greenbelt will be developed in area of 1600 sq m X 10 plots, which is shown in the EIA report as well as in audio-visual presentation, which is around four per cent of the total area. There are no villages within five km radius from the project site in the satellite image. Four villages falling within 10 km radius are shown. In ships, only leftover furnace oil is found, which will be given for recycling. Asbestos is found only at some places in ship. Mainly it is found as asbestos sheets. Use of asbestos is getting reduced gradually. Steam pipes normally found in LNG carrier and its use is very minimal. There are three types of asbestos: (1) on-steam pipe, (2) rope type, and (3) asbestos sheet. The use of asbestos had come down gradually. However, whenever asbestos is to be retrieved in large amount, it will be loosened and cutting work will be minimized. While cutting, water will be used so that dust impact can be decreased. Due to prolonged exposure of asbestos, there are chances of throat cancer and silicosis. Workers involved in asbestos removal work will be provided protective ear with respirator mask. Working area will be cleaned with vacuum cleaner. Naran Gadhavi, village Zarpara: What will be the quantity of chemical coming out of ship breaking yard? How will PCBS and PVC wastes be disposed of? What can be the damage? Which diseases can occur? Why there is nothing regarding influence of diseases arising from PCB in the EIA report? What will be the impact on human health? Information on disease is not provided in the presentation. There is no information in EIA or presentation regarding where solid waste will be disposed of. How much PVC will be generated? What will be its impact the fields? Will it affect ambient air quality? PVC containing waste will be burnt / disposed of at the site which is inter-tidal zone. This is ecological sensitive area. What will be the impact of the same on groundwater and other areas? Has marine EIA been done for this project? As per the report of Sunita Narain, without studying cumulative effect, no project should be started. Why this is not covered in the EIA report? In the EIA report it is shown that Mundra is at 16 km away and Zarpara is 10 km away. But, the actual distance between Mundra and Zarpara is 8 km. Why this contradiction? In the EIA report, the total population shown is 9,038, which is not correct as the population of Zarapara village alone is 7,752. When was the last Census of population carried out? Census data of 2011 have not been taken into consideration, therefore the EIA report is false and this public hearing should be closed. A: Information on chemicals coming out of ships has been given in the EIA report. Every item will be disposed-of following the rules. Therefore, there are no chances of spread of any disease. The consultants have informed us that diseases of cancer and silicosis may occur if concentration is very high. Waste containing PCB in the concentration of 50 mg/kg or more is considered as hazardous waste and will be disposed of as per hazardous waste rules. Therefore, there are no chances of spread of disease due to the proposed project. Waste will be handled and disposed of as per the rules. In addition to this, the factories Act will be followed. Anticipated impacts and mitigation measures are covered in the EIA report. Possible diseases due to PCBs are explained in the EIA report. Waste will be disposed of at an authorized TSDF site. Your suggestions will be noted and incorporated in the draft EIA. Approx. 1.5 to 2 tonne per year of PVC will be generated. The same will be disposed of appropriately or through TSDF site of NECL / SEPPL. No waste will be burnt and no air pollution will arise due to PCB or PVC. The project area is a submergence area. The area will be used only after reclamation of the area is completed. All work will be carried out only after obtaining required permissions. Moreover, the ship will be brought from water to land; nothing will be disposed of in the tidal zone. PCB or PVC will not be disposed of or burnt in the inter-tidal area. The same will be sent to NECL or SEPPL of which APSEZL is already a member. We will do agreement with other agencies if required, and will dispose of waste accordingly. At present the project area falls within CRZ-IV and partly in CRZ-I(b). If project falls within CRZ-I( a), it will not get permission. But, none of our area falls in CRZ-I(a). Both terrestrial and marine EIA have been prepared. The EIA has been prepared by the MoEF and NABET-accredited agency, Mecon Limited, which is a Central government organization. In fact, as per rules, the villages within five km radius of the project are to be considered, but the EIA report has been prepared for area covering 10 km radius. Draft EIA has been prepared as per the terms of reference (ToR) granted by the MoEF and marine EIA has also been studied. We have not received any instruction/ suggestion regard Sunita Narain’s report from the Ministry of Environment and Forests (MoEF). If we receive instruction in future from the Central government, we will definitely follow it. The project area has been considered as the centre, and as per the question asked in Form 1, it is shown that the aerial distance of Mundra village is 16 km. Similarly, the nearest railway station is Gandhidham. This does not mean that Gandhidham falls within the study area. The aerial distance has been considered. The census data are used as per government records. Data should be used as per government records only. While preparing draft EIA, 2001 census data were only available and therefore used in the report accordingly. However, as per your suggestion, data will be rechecked once again and required modifications will be made in the EIA report. Data obtained are as per EIA notification 2006 and amendments thereafter as well as EIA manual for ship recycling. We cannot take any data from gram panchayat and we have not used any false data in our report. The 2011 census data were not available in public domain. Jayveersinh Jadeja, village Samaghogha: What is the survey number/ block number of this project? What is its area? Because there are no survey numbers/ block numbers, the radius cannot be decided and hence public hearing should be cancelled. It should be noted that the proposed area does not have any block number as informed by the project proponent. A: This project being at coast will be done on reclaimed land and hence there is no survey number. Location of the project is given in the EIA report with latitude and longitude. The location has been superimposed on Google image and based on the same five km radius has been shown. The proposed project area is approximately 41 ha, which falls in CRZ-IV & CRZ-I(b). Naran Gadhavi, village Zarpara: The traffic near the gate of West Port is 1,026 trucks per day. Due to this project, there will be increase in noise pollution as there will be heavy traffic. Will it not harm the living standards? In the EIA report, the land suitable for cultivation of dry dates or chikoo is shown as 19 per cent, which should actually be more than it. Is cultivation not done in Zarpara, Siracha and Navinal? Here, cropping is also in the 60 per cent area. In the EIA report, only two creeks are shown, viz. 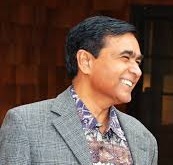 Bharadi and Kotadi. What about the remaining Koyla, Navinal and other creeks? Lastly, I present my opposition that this ship-breaking yard is anti-farmer, anti-fishermen and anti-environment. EIA report is false and it should be prepared again. A: The draft EIA report contains information on traffic survey. Due to this project truck traffic will increase by 175 trucks per day, which will increase the noise level by 0.1 decibel, which is minor. The report has been prepared from satellite image of the land of 10 km radius using a land use/land pattern expert. Therefore, this does not cover the data for the whole of Mudra taluka, and that is not legal requirement also. In the EIA land use/land pattern study was done by three scientists. The information has been provided as per study area of 10 km radius. 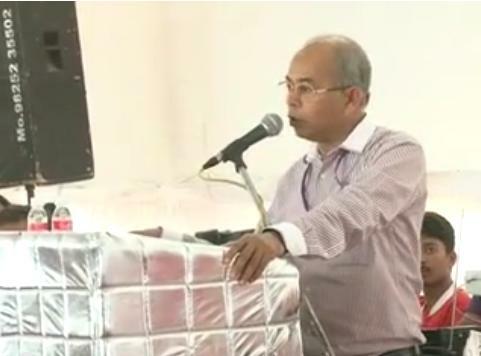 Pravinsinh Chauhan, village Siracha: Details about types of asbestos and the diseases arising from them are not given in the executive summary of the project. The report obtained from internet does not contain such information. This project has many lacunae, and such information has also not been covered in the presentation. A: This information has been given in the EIA report. Copy of the EIA report and the executive summary is circulated as per the guidance of the GPCB and the EIA notification. The report published on the internet contains all the required information. Presentation also contains information about the impact of asbestos and mitigation measures for the same. Jayveersinh Jadeja, village Samaghogha: From where were air samples taken? It is not mentioned in the EIA report regarding the season of collecting data for air and noise. On whose house was used for samples collection? Please provide details with proof. From where were the rainfall data collected? What is the amount of humidity in the air and during the month? 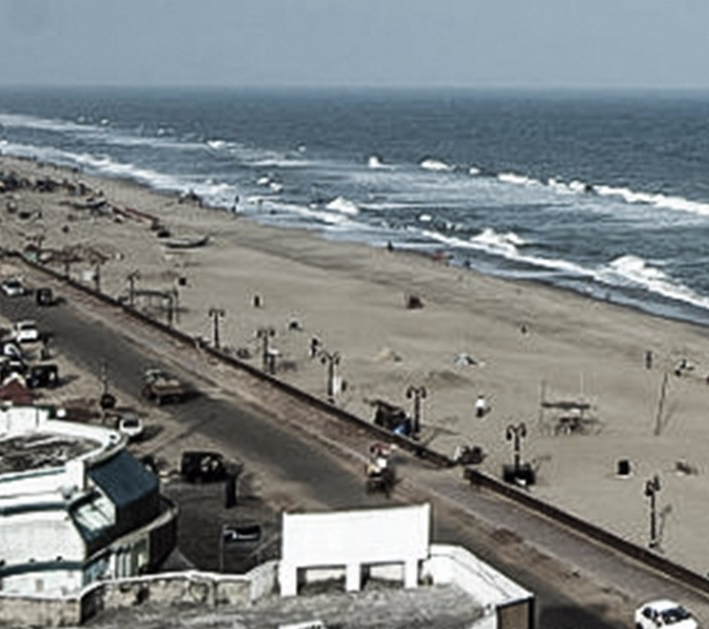 Why were details collected from Mandvi and not from Mundra? Of which period these data are? 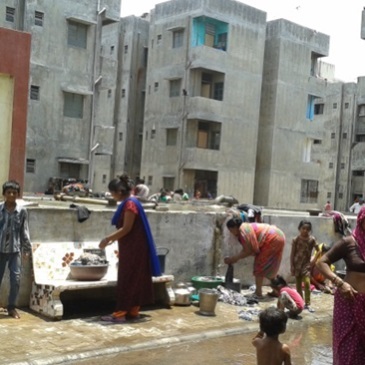 What is the average rainfall in Mundra taluka? How much greenery should be found here as per 409 mm of rain? In the EIA report, it is shown that nothing except babool tree grows over here. I will tell you which crops are found in the five km radius, and you tell me what impact will occur on the crop due to plantation. Has the EIA report referred to the type of birds and animals present in the area? Isn’t there any bird in the fine km radius? This detail has not been given in the presentation. EIA report is false. Which kind of material will come out of a ship? How many air bags will be required in the air bag method? How far will be the place of ship breaking from the high tide? Has the CRZ permission been taken? How could the government allot land to you without seeking CRZ permission? The study has not been done properly. The EIA report is false. If the land has been acquired, the government would have given CRZ permission. Provide us details. The West Port should not be mentioned. First CRZ permission is needed and then EC is sought. If the project is to be set in the West Port, the report of Sunita Narain is applicable, according to which all the creeks have been blocked, the high tide water is prevented, due to which the probability of tsunami has increased. Therefore, this project should not be given permission. Has the plot of 41 hectares been granted or not? How was the loan received without land? A: As per rules and regulations, the samples were collected from September to November 2011 and September to November 2012. Locations from where samples have been taken are marked on the Google map and mentioned in the EIA report. Information is given in the executive summary of the EIA report. Locations were finalized as per the guidelines of CPCB. Samples have been collected from the house of Bhavanbhai of Zarpara village, Shantaben of Tunda village and Mahobbatbhai of Navinal village. Responsibility of data collection lies with consultant and certificate is given by scientists with their signature. The same is enclosed in the EIA report. Data on relative humidity has been given in the EIA report. The data was collected from September to November 2011, and from September to November 2012. As Indian Metrological Station is in Mandvi, the data was been collected from there, which is as per guideline. All information has been provided in the EIA report. Furthermore, the data has also been collected from the metrological station of our port. As per the executive summary, the average rainy days are 19.3 and the amount of average rainfall of the year is 437.7 mm. It rain in south-west from mid-June to mid-September. During this period 90% of the total rain fall i.e. 408.8 mm, occurs. The maximum rainfall is found in July, of which monthly average is 196 mm, which amounts to 44.8% of the total rain fall and 7.7 rainy days. Complete information on the land use/ land pattern, which is prepared in the 10 km radius, is given in the EIA report. There is no suitable land for agriculture in the five km radius, which is visible in the satellite image. In the draft EIA report, complete details of birds, animals and vegetation are given. Number of air bags required depends on the size of the ship. CRZ clearance is given along with EC. At present we have applied for obtaining EC. We have already given answers to all the questions. Reclamation permission for this land has been taken from the Central government. The project of ship recycling will come up within the West Port only. CRZ and EC permissions are to be taken together. For CRZ permission, EIA should be done and to complete EIA report, public hearing is necessary. The Central government will decide whether to give permission or not. We are not going to comment on the report of Sunita Narain. The Central government is thinking upon it and they will inform us. The plot of 41 hectare is to be made on the land where permission is granted. The permission for ship recycling has not been obtained and is to be taken. Jayveersinh Jadeja, village Samaghogha: How much waste comes out from a ship of 20,000 tonnes? How ship will be washed? How ships will be washed – chemical ships, fertilizer ships and coal ships? How would the waste water be recycled? There is no mention of how much tonnes of waste will come out. Details of amount of water to be used in this project have also not been mentioned. Water storage has not been shown. How much dirty water will come out and in what way? Where and how this dirty water will be taken? All this has not been mentioned in the EIA. What is the capacity of the smallest ship for scrap? How much dirty water will come out from 80000 litres? There is no mention of using tanker in the EIA report. The presentation should be done again. The EIA report should be prepared again. The public hearing should be re-called. Until all the details are shown again here on the projector, it cannot proceed. A: When the coal ship is broken, coal is not likely to remain in the ship. Nominal amount of 2-4 tonnes of coal found in the ship will be removed and then ship will be broken. Such ships will be cleaned first as per the appropriate standard before breaking them. Ships will be broken after obtaining necessary gas free certificate and hot work certificate as per the rule. Every chemical will be cleared as it is to be cleared as per its compatibility. The disposal of wastes will be done appropriately as per the rules. Residues will be sent to Incinerator or for distillation or it will be disposed of as per required actions. There is no common procedure for ships. This project is for ship recycling and not waste water recycling. The waste water will be disposed of as per rules and regulations. Everything has been mentioned in the EIA report. In this project, 80,000 litres water will be used. The use of water will be done in 10 plots. In the layout of each plot, water storage is demonstrated. In the said project, the wastes would be forwarded to the registered recycler and residue will be sent to incinerator. Complete details pertaining to this have been given in the EIA and the executive summary. There are two sources for water. If Narmada water is obtained, it will be used; otherwise water will be used from desalination plant. Approximately 72,000 litres waste water will come out which will be transferred to Mundra Port’s CETP through tanker. The capacity of the CETP is 25,00,000 litres per day.